Urban Grind TV shadows Chicago’s hottest duo FM & Hec Nation (Grand National Ink) over an exhilarating weekend. Watch as Hec Nation and FM bring you into their journey from Chicago to Memphis. 2 high energy concerts in 2 nights as they go from opening for T.I. and performing at the SCM Awards Show in Memphis. 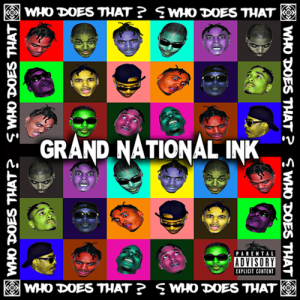 We covered the release of Grand National Ink’s latest single “Who Does That” a few weeks ago. We originally released this single out to test the waters. We wanted to see how the people would accept it. In just a few weeks this single has picked up speed being picked up by outlets such as Audiomack, Spinrilla, MyMixtapez, Soundcloud, Spotify, Amazon, to name a few! 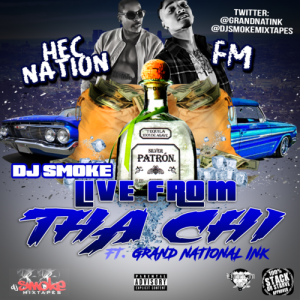 FM & Hec Nation (Grand National Ink) are back in the lab working with Dj Smoke on a new mixtape titled “Live From Tha Chi”. This project will feature new music from Grand National Ink as well as other popular Chicago artists This mixtape will be mixed by Dj Smoke, and narrated by Grand National Ink. Also lookout for the official visual for “Who Does That” we will be releasing that to the public real soon!